A commercial building commonly possess numerous high traffic areas. The debris and dirt in these regions becomes pressed and embedded within the carpet fabric. Any time debris and dirt are laying at the bottom of the carpet, high powered pressure must be used to draw away debris. Hot water extraction cleaning is the ideal solution for heavy traffic locations. It doesn’t matter what type of commercial environment you have, a doctor’s office, meeting room, contact center, and so forth. carpet cleaning is essential! You might not give it a 2nd consideration, but to somebody entering into your company for the very first time, dirty carpets and rugs may give an unacceptable perception regarding your corporation. You never have a 2nd chance to create a 1st impression! Pro Teams hot water extraction certainly is the cleaning solution you will need. Our high powered truck mounted method reaches deeply down into all types of commercial carpets and rugs to extract most soil and debris. At Pro Team, we put customer satisfaction and quality first. The main standards within our business make sure we always employ the most effective methods along with the safest cleaning solutions for your clients. Competent, on time, expert care is most important. We don’t keep you waiting around. 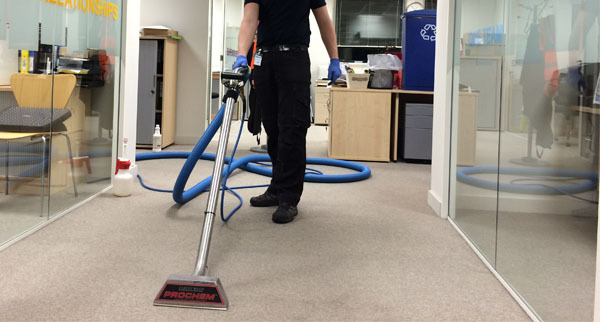 We always guarantee that your businesses carpet shall be clean, bacteria and free. Your Pro Team professional is experienced and trained to tackle even the trickiest staining and heavy traffic locations. Our eco friendly procedure includes a 100% satisfaction guarantee. At Pro Team we also offer commercial tile & grout, upholstery and rug cleaning. 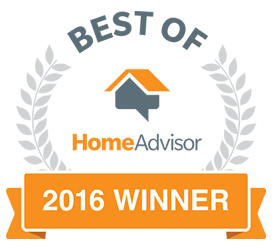 2016 Home Advisor award winning company.